In the crisis-in-Crimea, is it all President Obama’s fault? The Russian incursion into Ukraine’s autonomous, Russia-loving Crimean peninsula—was it caused in part by the perceived weakness and vacillating of our President on the world stage? The short answer is no—this one is “on Russia,” as President Obama would put it. But as the crisis now appears to be easing, that also is “on Russia”; our President’s response did nothing to help. Vladimir Putin, Russia’s president and resident thug, would have pulled this no matter how President Obama had operated the past five years. Russia invaded its former satellite, Georgia, near the end of the second term of George W. Bush. It invaded Poland decades ago, and Afghanistan after that. So the Crimean caper was merely a matter of Russia’s reverting to form. But how Putin did it does say something about his assessment of the American President: “Pootie” smelled weakness, and President Obama has done nothing to disabuse him of that. Putin lied to the President’s face, telephonically speaking, when he denied any invasion outright in a 90-minute call between the two leaders. Even as a couple of thousand Russian troops already had begun seizing airports and surrounding Ukrainian military bases. Our President didn’t even call him out for that. I guess getting lied to by his Russian counterpart is one of the few things that President Obama doesn’t take personally. Usually O has a way of making most everything about himself: the Trayvon Martin shooting, the wealth gap, department-store surveillance. This follows a litany of placidity on the part of our President. He “led from behind” in the collapse of Lebanon, missed an opportunity to support rebellion in Iran and abandoned our longtime ally Mubarek in Egypt. He failed to exact revenge for the murders of U.S. diplomatic staff in Benghazi, appeased the nuke-builders of Iran, and declared a “red line” on Syria and chemical weapons—but then erased it and ceded control of supposed disarmament talks to Putin. Yet, the President has been so good to the Russians! Recall that it was President Obama who proclaimed a “reset” in our relations with Russia as he took office. Early on, the new U.S. President granted Pootie a freebie: He backed off plans to help Europe build a “Star Wars” satellite defense system amid opposition from Putin and Russia. In his re-election campaign, in a debate against Republican nominee Mitt Romney, President Obama declared that the Cold War is so ’80s and jeered at the challenger for depicting Russia as an ominous threat. Thereafter, Mr. Obama did nothing when Putin allowed a U.S. fugitive and traitor, Edward Snowden, to remain in Russia. The U.S. President also resisted efforts to arm Syrian rebels as Russia backed the despotic Assad regime. How must Vladimir Putin view all that placid passivity in the White House? 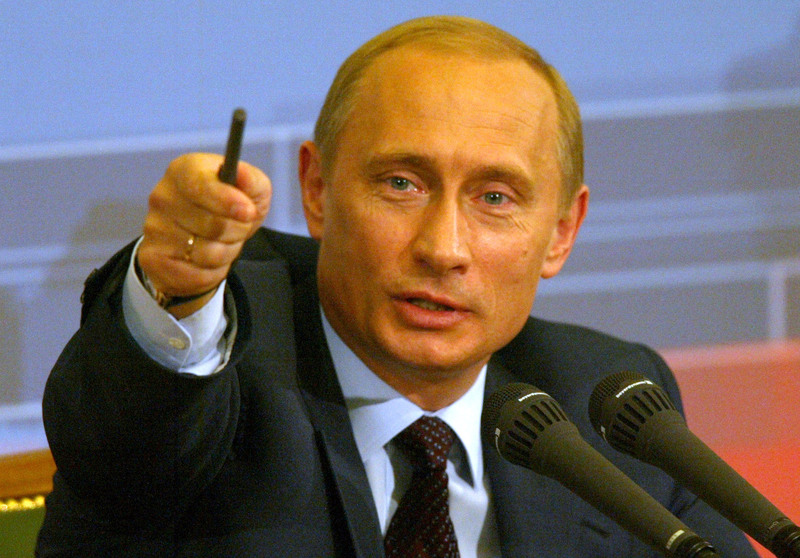 Putin is ex-KGB—for all we know, he has killed with his bare hands. He loves to be photographed macho-style in springtime, shirtless while riding horseback or clad in a ghee for a little martial-arts sparring with his troops. Our President tried to be the nice guy, he gave Putin concession after concession while demanding little, if anything, in return. In prison, that kind of one-sided exchange makes you a punk—and international relations is its own prison yard. Putin is a prison bully. But Barrack Obama? Not so much.